Green Roof Planter Drain Basin - Jay R. Smith MFG Co. Wide flanged (20” Dia.) body for main green roof system drainage areas. Flange allows acceptance of waterproofing membranes. 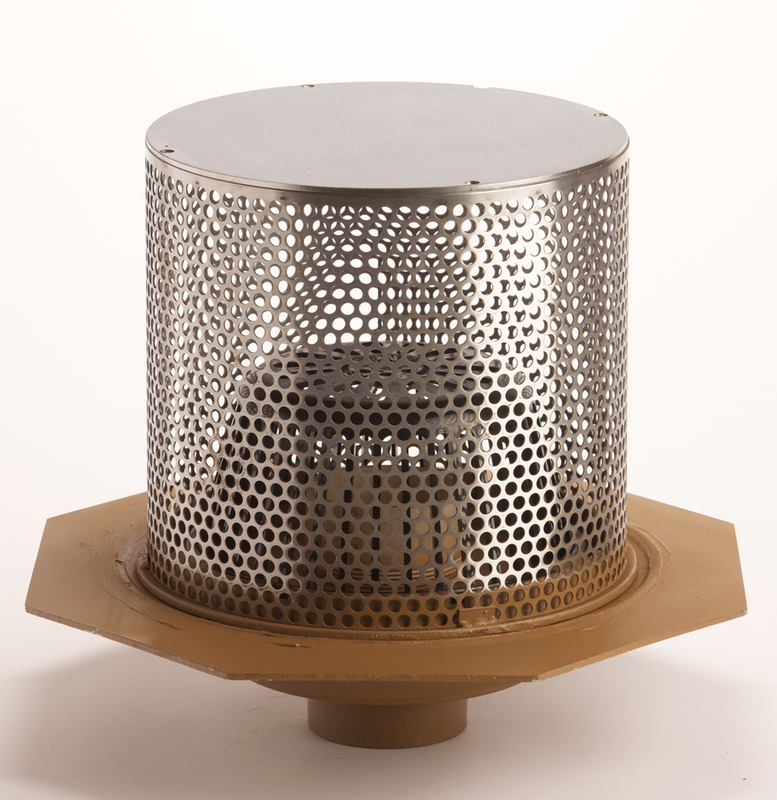 Duco Cast Iron Wide Flange Body, Flashing Clamp and Stainless Steel Perforated Gravel Stop with 3/8" DIA. Openings, and Secured Solid Cover, P.V.C. Standpipe and Polyethylene Dome.